CasinoLuck is a relatively new and unknown website for many UK players. This promising online casino offers a very solid welcome bonus, a fantastic selection of games and a very rewarding loyalty program for all of its customers. But, the question is, is CasinoLuck good enough to compete against the big names on the UK gambling scene and come out on top? Read our in-depth CasinoLuck online casino review and find out if it pays off to play with CasinoLuck. CasinoLuck Welcome Offer – Up to £50, matched at 100%! Players who decide to create an account with CasinoLuck and choose to receive the CasinoLuck Welcome Offer will be greeted with a 100% deposit match bonus up to £50. This bonus is only available for players from the United Kingdom and requires a minimum first deposit of £20. Of course, there are some T&Cs that apply to this offer. However, none of them are out of the ordinary for a casino welcome bonus. The bonus funds must be wagered 35x before they can be withdrawn, and players have 21 days to meet this requirement. In addition to this welcome offer, CasinoLuck offers players 50 free spins they can use on the popular Starburst slot game. The free spins come as a part of the bonus. They come without any additional bonus requirements and must be used within 24 hours from the moment they’re credited. After claiming the CasinoLuck Welcome Bonus money and free spins, the player can take advantage of the casinos reload bonus. This is available on the second day and worth up to £50. Overall, this diverse welcome bonus offer is a great way of starting at an online casino. Claim the bonus and start playing! Aside from the CasinoLuck Welcome Offer and 2nd Day Reload Bonus, the casino has prepared a number of regular promotions for its existing customers. Players can look forward to free spins bonuses, deposit money match offers and cashback bonuses among others. The promotions are made public and depend on the location of the player, so the only way to get the latest and most accurate information is to sign up with the casino. What's interesting about their bonus system is that they often include special giveaways in which players can participate by depositing a certain amount of money, usually between £20 and £50. These giveaways offer a variety of different prizes, ranging from mobile and tablet devices to more lucrative prizes like tickets to events and exotic destinations. These generous giveaways make it very lucrative to be a regular member of CasinoLuck. CasinoLuck offers more than 350 of the best online casino games in total, so there’s plenty of options and fun to go around. Their casino games are powered by some of the leading providers in the industry, including Microgaming, NetEnt casino games, NYX and others. We’ve also received information that new games are added almost on a daily basis, so players don’t have to worry about running out of new games to play while at CasinoLuck. Slot games comprise the biggest part of the CasinoLuck game library. There are a couple of hundred slot games, with popular games like Starburst and Book of Dead featured as some of the most played ones. There are also some cult classics such as Rainbow Wilds, Pearl of the Orient and Fortune Diamond, as well as a decent selection of progressive jackpot slots. Among other games, the casino offers blackjack, roulette and poker tables, as well a very solid selection of scratch cards, which includes over 20 different games. From the moment the players start at CasinoLuck, every bet counts and can bring in many benefits. At least, that’s what is promised in their VIP program. This is what enticed us to take an in-depth a look at the CasinoLuck VIP Program, which consists of 7 different loyalty levels. For every £40 wagered in the casino, players will get 1 Reward Point. Each VIP level has a different Redemption Rate, detailing how many reward points the players must accumulate in order to progress up the ladder. This brings us back to the beginning statement of the CasinoLuck VIP Page. Indeed, there are many lucrative benefits the CasinoLuck VIP Program brings to the table, especially for those players who manage to reach some of the higher VIP levels like, Platinum, Premium or Prestige VIP. Benefits include exclusive live tournaments, personalised multi-tier bonus offers, enhanced cashback rewards, and special welcome packages every time players make it to the next VIP level. The CasinoLuck VIP program certainly pays off and is a great opportunity for all players looking to commit to one casino. The CasinoLuck live casino library is powered by one of the best in the business, NetEnt. Available around the clock, their live platform offers players the chance to go up against real-life professional casino dealers. Streamed from NetEnt’s casino studios, the CasinoLuck HD live casino platform makes for a very immersive and enjoyable live casino experience. There are over 20 live casino games on display in the CasinoLuck live casino section. Players can choose between baccarat, blackjack, roulette and other live casino games. With such a varied selection of games, we’ve also found some titles that are unique to CasinoLuck. The number of payment methods available at CasinoLuck is massive, to say the least. The casino offers different payment methods to players depending on their location. UK players can use credit and debit cards, e-wallets, prepaid cards and a variety of banking solutions. Unfortunately, the casino doesn’t support PayPal on its website. This can be an issue for some casino players. But, since this particular casino is still growing its offer, they will hopefully become a PayPal casino sometime soon. Minimum amounts per single deposit or withdrawal are set at £10 for all payment methods. In most cases, deposits are processed and approved instantly. Whilst, withdrawals might take up to 8 business days, depending on the selected payment method. The CasinoLuck mobile casino is built specifically to run as a mobile casino. Players aren’t required to download any apps in order to play games. This mobile web casino is designed in an almost identical manner as the desktop version of the site. However, in a more streamlined way. The mobile website isn’t overcrowded with unnecessary links and information. Instead, there’s an expandable tab on the top left, which holds all of the relevant options. From games and promotions, to support and technical settings, it's all here. This mobile platform might not be the best on out there. 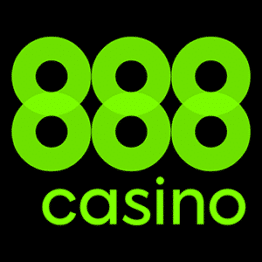 However, it’s certainly an above-average platform that beats out many reputable mobile casinos on the market. For players who want to enjoy the convenience of gambling from their mobile devices, without having to download any additional software or apps, the CasinoLuck browser-based mobile casino is an excellent choice. Since the casino operates internationally, their support is available in over 10 different languages. Their customer support agents are very professional and respond in a very timely manner. As of writing this online casino review, their customer support is available every day from 8 am to 1 am. If players have an urgent casino-related question and can’t get in touch with casino representatives, they can use the FAQ section to resolve most general queries. It offers a lot of insight into practically every aspect of CasinoLuck. Besides the FAQ section, the casino does an excellent job in maintaining transparency. As there are many pages on their website providing information on bonuses, payment methods and security and privacy related details. They are licenced and regulated by two of the most reputable judicial bodies in the world of online gaming. The UK Gambling Commission and the Malta Gaming Authority. All of their games are certified by iTech Labs and proven to be fair, random and player-friendly. The casino uses the latest 128-bit SSL encryption to secure its website. While, all credit and debit card transactions from UK players are processed by a third-party, AG Communications Limited. They are a reputable brand that takes responsible gambling very seriously. CasinoLuck is dedicated to providing a responsible gambling service for all of their players. Players can rest assured in knowing that the casino implements a number of measures in order to help them prevent and manage compulsive gambling. They are also partnered up with several responsible gambling organisations, such as Gamblers Anonymous and Helping Hand/IGC. This casino has popped up on many people’s radars out of nowhere. They've made an instant impact on the online gaming scene. They offer an impressive product, with few, if any real faults in their service. They have a vast selection of online casino games which spans across casino, live casino and mobile casino games. Their payment policy is very favourable towards players too. Whilst, they hold all of the necessary licences to operate in the UK and abroad. Overall, CasinoLuck is a very welcoming online gambling platform. Their product is available in multiple languages. And the casino offers different and exclusive bonuses and promotions to players based on their locations. UK players who decide to join this fantastic online casino can claim a welcome bonus worth up to £50 and 50 free spins on the popular Starburst slot game. If you’re a player who appreciates a well-crafted and reliable casino, sign up with CasinoLuck and experience everything it has to offer. Is there a CasinoLuck welcome bonus? Yes, there is a CasinoLuck welcome offer exclusively available to UK players. New players on their website can claim a welcome bonus worth up to £50 plus an additional 50 free spins on Starburst. In order to obtain this welcome bonus, players must make a deposit of at least £20 after signing up with CasinoLuck. For more information on the Welcome Bonus T&Cs, read the welcome bonus section of this CasinoLuck online casino review. Does CasinoLuck accept PayPal transactions? No, CasinoLuck doesn’t currently accept PayPal transactions. However, UK players can choose between a number of different payment methods, which include credit and debit cards, e-wallets, prepaid cards and a variety of banking solutions. Overall, CasinoLuck has a very flexible and player friendly payment policy. Despite being a relatively new online casino, CasinoLuck has all of the necessary licences and certificated to operate in the UK and all over the world. They are licenced by two of the most reputable online gambling authorities, the UK Gambling Commission and the Malta Gaming Authority. Their platform is also certified by iTech Labs, which guarantees that all of their casino games are fair and random.